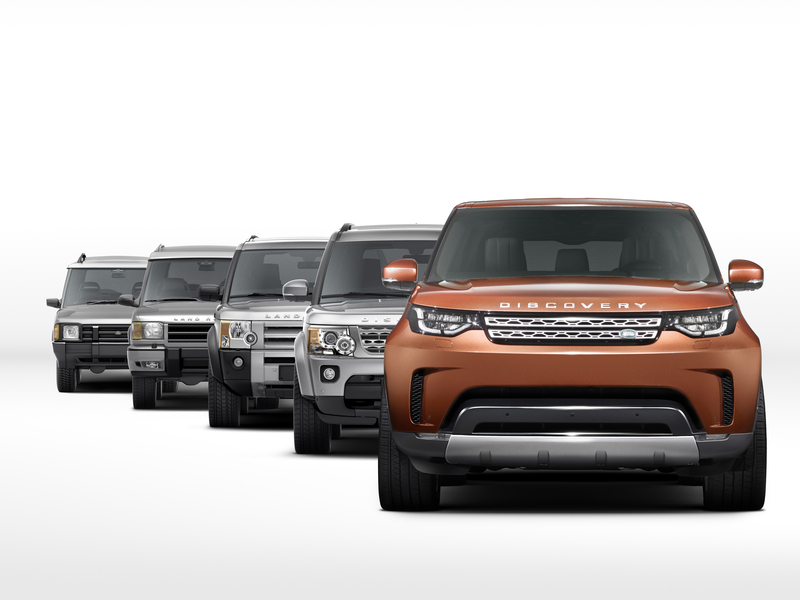 PETALING JAYA, 3 November 2017 – Visitors to the 2017 Malaysia Autoshow (9 -12 November 2017) will be delighted with the preview of the all-new Land Rover Discovery for the first time in Malaysia ahead of the official launch which is expected in January next year. The Discovery is the world’s most versatile and practical family SUV. The all-new and fifth generation model benefits from Land Rover’s strong, safe and light full-size SUV architecture, delivering comfort and adaptability like no other. As part of the special preview, visitors will be offered a 360-experience of the vehicle via its Virtual Reality (VR) Experience kit. The VR kit will take visitors on a discovery journey of the vehicle with compelling animations that brings the car to life! Enter the new Discovery and discover the ingenious technology developed and designed for the unrivalled comfort from its convenient practical features to its sophisticated safety features which make the Discovery an ideal family vehicle and ultimate active lifestyle companion. The all-new Land Rover Discovery is a full-size, three-row, seven-seater SUV that boasts long-haul comfort and a confidence-inspiring environment for the driver as a result of its raised Command Driving Position, simple controls and enhanced chassis technology. The seven-seat interior provides improved space and versatility with optimisation in every aspect of its design. Both the third-row seats also incorporate ISOFIX mounting points (five in total), so families have the freedom to put child seats in the most appropriate seat for any journey. The precise finishes and use of high quality materials throughout the vehicle give passengers a pleasant experience. It is also designed to keep the family safe, connected and confident on all surfaces, terrains and in all weather conditions with the Land Rover’s renowned all-terrain capability due to its combination of excellent off-road geometry and advanced technology. The comprehensive suite of off-road driving technologies ensures that the supreme all-terrain capability is easy to access for any driver, be they an enthusiastic off-roader or a parent who is taking their children to school. The Discovery embodies Land Rover’s drive to go Above and Beyond, combining British desirability with an unstoppable spirit of adventure. It has also carved a new milestone with 28 successful years since the introduction of the first generation Discovery at the Frankfurt Motor Show in 1989. Jaguar Land Rover Malaysia will also be taking orders for the new Discovery 3.0-litre Diesel at the Malaysia Autoshow event. The powerful 258PS 3.0-litre V6 diesel engine, badged Td6 is a single-turbo engine featuring low-pressure exhaust recirculation, a two-stage oil pump and a revised fuel-injector nozzle for improved responses, refinement and efficiency. Customers can also register their interest and receive updates at www.landrover.com.my/keep-me-informed. Join in the Land Rover excitement located at Hall C (Booth No 69) of the Malaysia Agro Exposition Park (MAEPS) Serdang. Jaguar Land Rover (Malaysia) Sdn Bhd, a joint venture between SISMA Auto and Sime Darby Motors, is the exclusive importer for Jaguar and Land Rover in Malaysia. The joint venture was formed via SISMA Auto’s acquisition of a 40% share in Sime Darby Motors’ Land Rover (Malaysia) Sdn Bhd, which was then renamed Jaguar Land Rover (Malaysia) Sdn Bhd.